Do you want to discover Bali far from the classical tourist routes? So get out of the tracks, and dare a little crazy! Here are the 8 essential activities to do before leaving the island of the Gods! We have developed a tailor-made course to get off the beaten track and dare a little madness! Bali Island is located between Indian and North Pacifique Oceans. That is why you will find some magnificent and various beaches, for relaxing, lying down in a long chair with a glass in hand, or surfing the amazing waves as a beginner or an advanced, even to dive and discover the ocean floor. We selected the most beautiful beaches not to be missed in Bali. The access to the beach is almost all the time free for the pedestrian. However, most of the time you will have to pay between 2 000 and 10 000 Rp. to park your scooter. 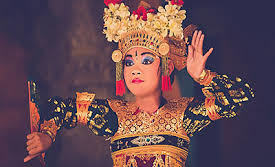 Ubud is a province of Bali, located in the Island center judge as the center of cultural tourism. 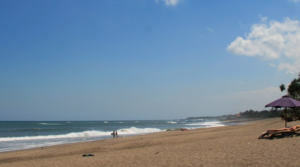 The city is located about 35 km in the North of Kuta. It is easy to reach with a scooter after one hour from Denpasar. Also named as “The god Island” or “The thousand temples Island”, we drive you to discover Bali with its plenty worship places. Each temple has is own particularity, however, you should wear, almost each time a traditional sarong (always freely supplies) to be allowed to enter the temple. This is not an obligation but we recommend you to come with a guide which will inform you about the whole story of each place you will visit and who will preserve you from potential tourist-trap. The entry fees of the temple is between 15 000 and 50 000 Rupiah, with additional costs for the parking fee (around 5 000 Rp. for scooter and 10 000 Rp. for cars).